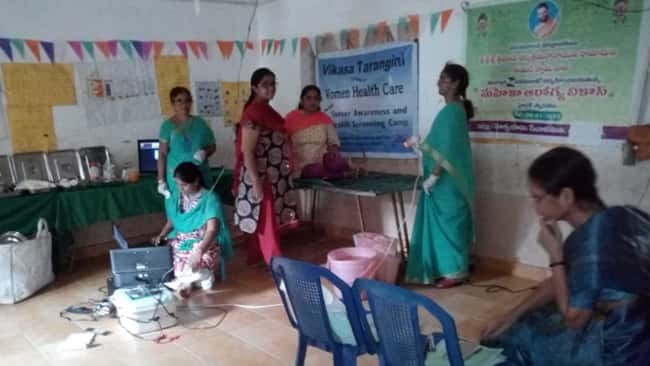 VikasaTarangini– Karimnagar conducted cancer awareness camp and general camp at Govt School, BavusaiPet Village, konaraopet Mandal, Rajanna Siricilla District. 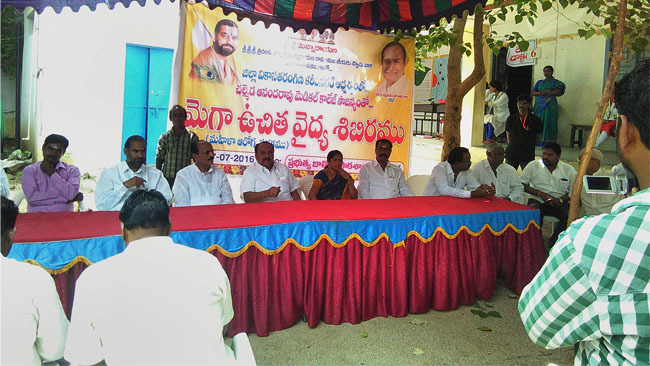 Sriman Chalmeda Laxmi narasimha Rao(Chairman CAIMS), M.Ramesh (SI of polce), Smt Padma(Sarpanch), P.Shubhalaxmi (M.P.T.C) attended the camp and K.Gangadar motivated the local people for camp and sponspered Tadiyaradana for Staff. VikasaTarangini Volunteers and Asha Workers of local village participated actively in the camp. Camp conducted with the Co-operation of Chalmeda Anand Rao Hospitals, Karimnagar. All the 46 members are taken to hospital by bus for required Treatment on Monday 29/05/2017 , Chalmeda Hospitals provided the bus. Required medicines distributed freely for the patients.